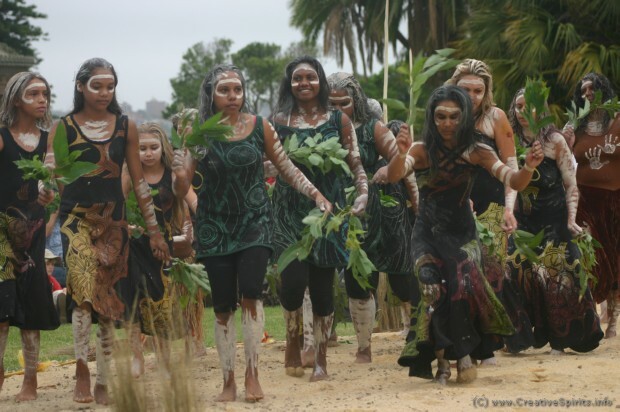 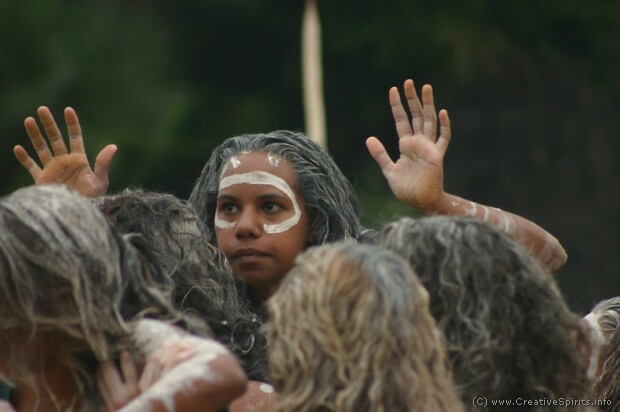 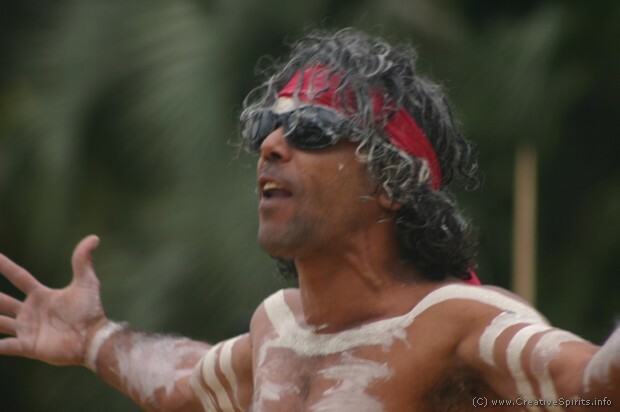 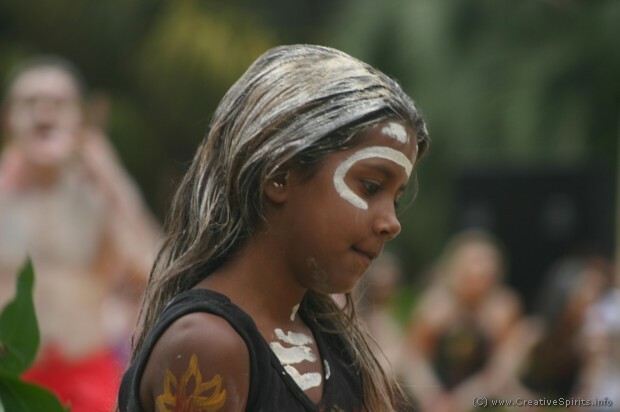 Each year Aboriginal people perform an opening ceremony near the Botanic Gardens in Sydney. 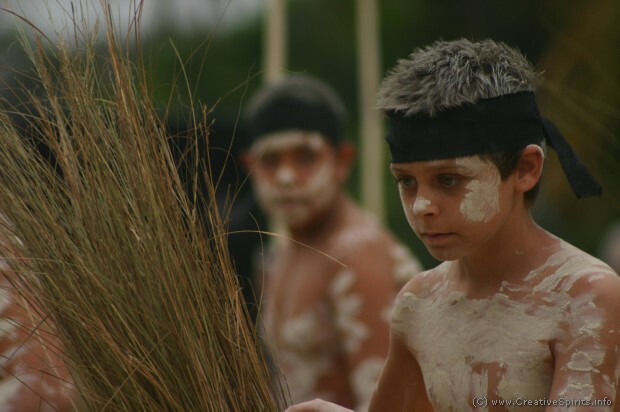 The ceremony maintains age-old custodial traditions. 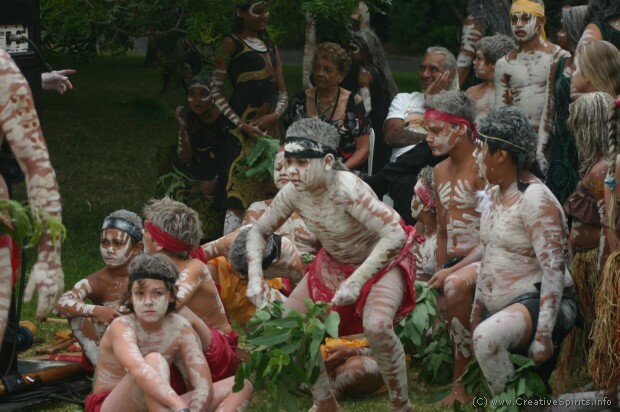 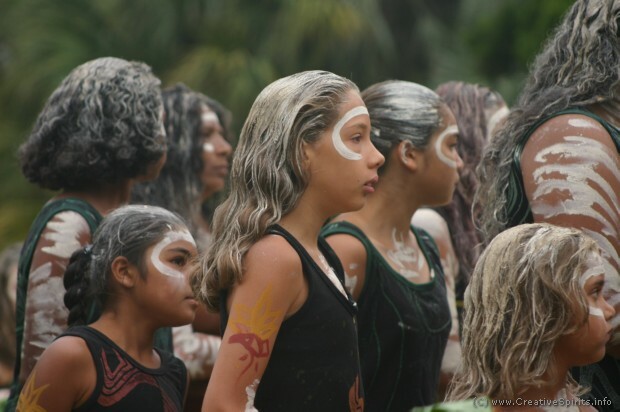 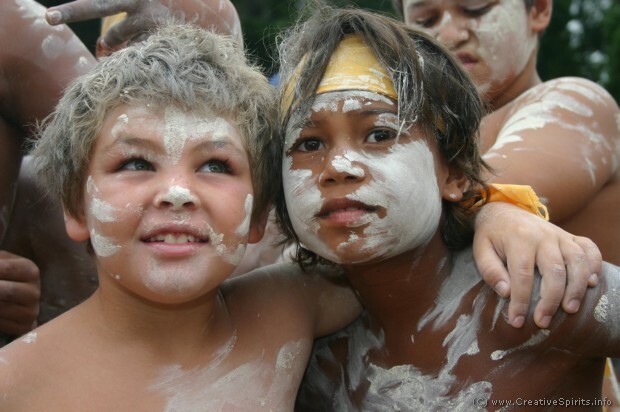 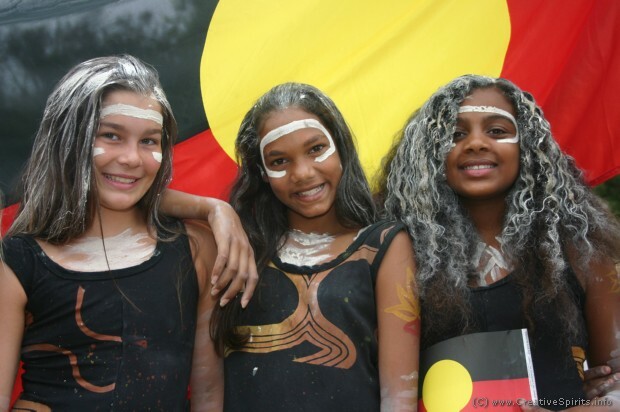 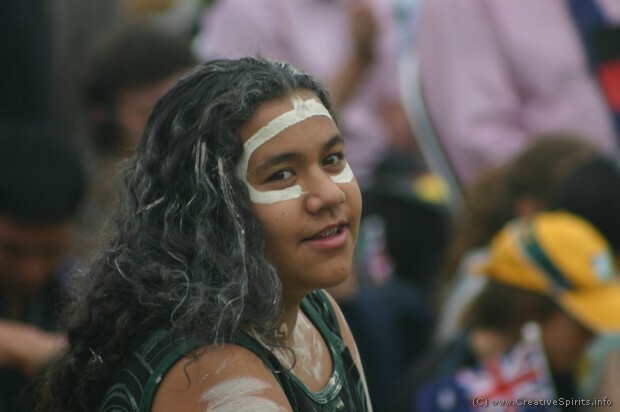 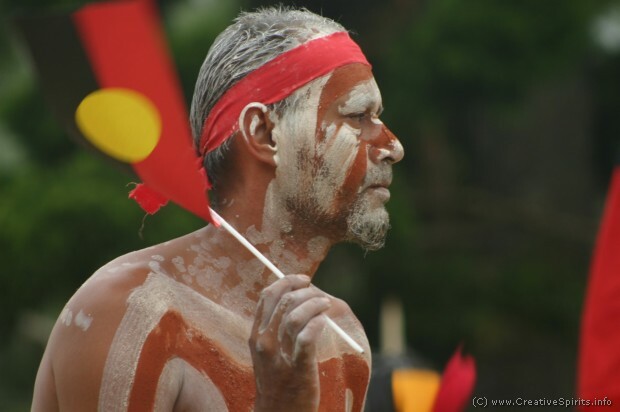 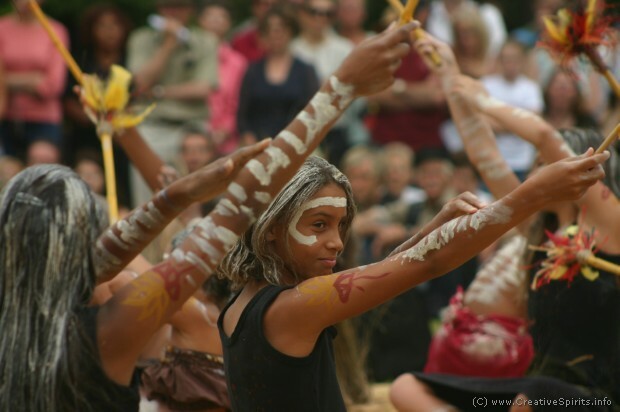 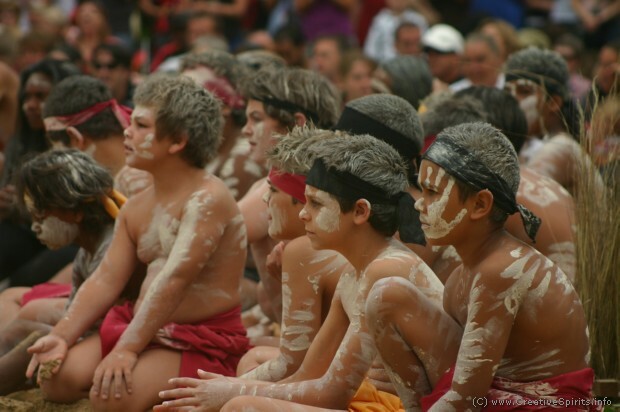 Each year on Australia Day Aboriginal people perform an opening ceremony near the Botanic Gardens in Sydney. 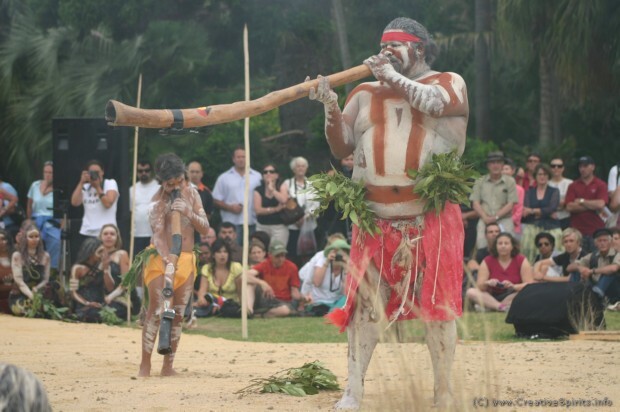 The early ceremony on the land of the Gadigal Aboriginal people maintains age-old custodial traditions. 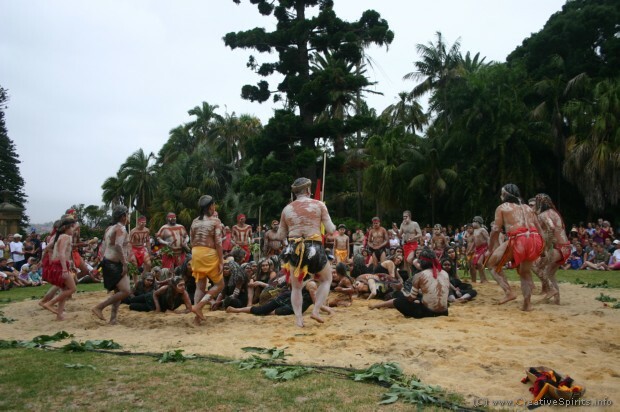 Ceremony is performed at both contemporary and traditional gatherings. 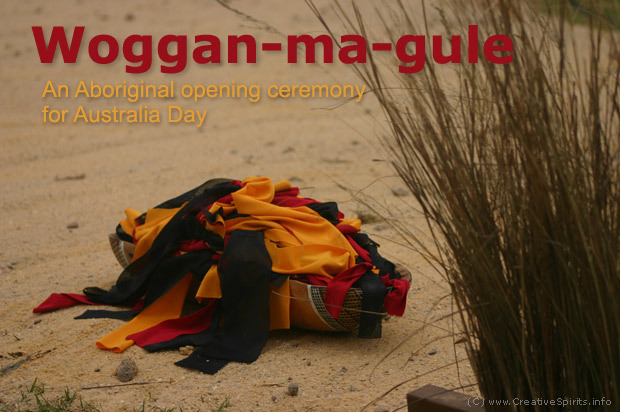 In Woggan-ma-gule, the 'meeting of the waters', Aboriginal people continue the commemoration of the past and the celebration of the future. 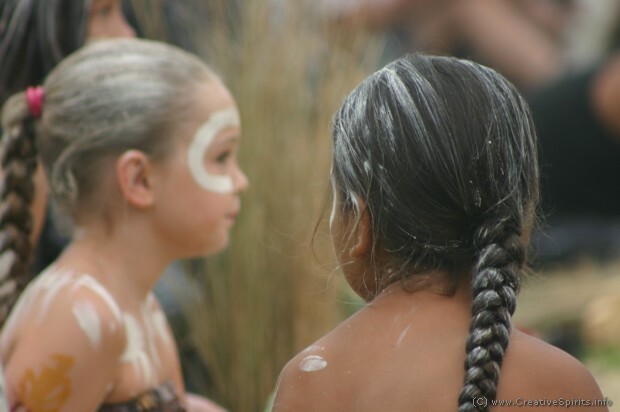 Young and old dancers are decorated with body markings who depict each dancer individually. 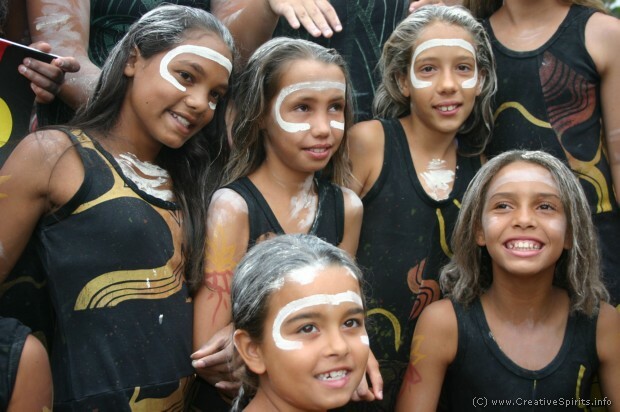 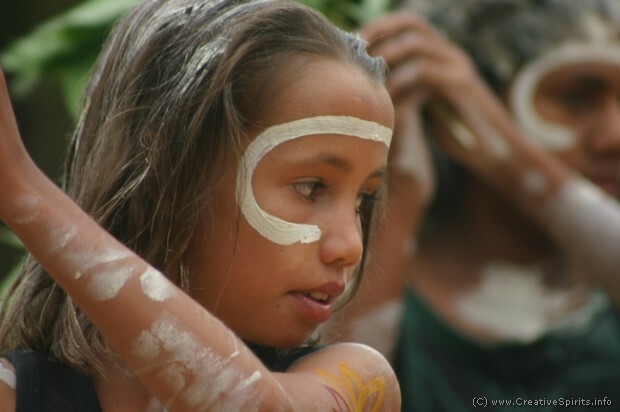 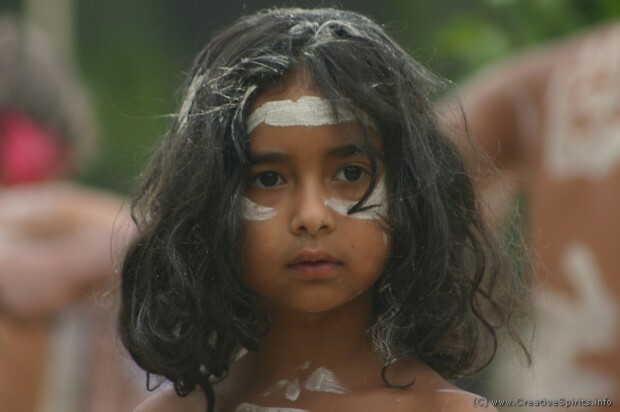 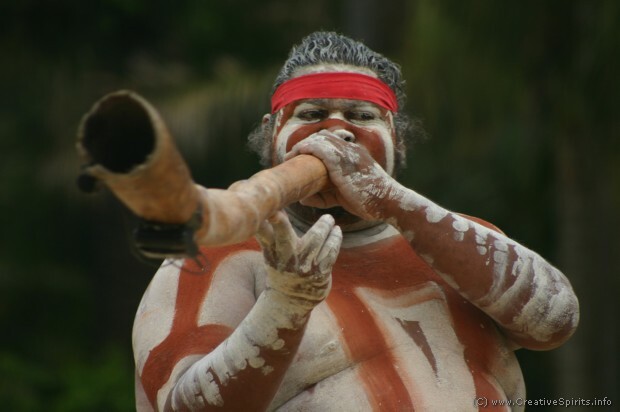 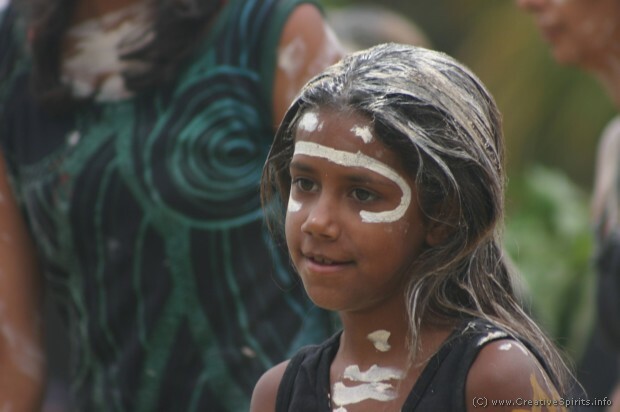 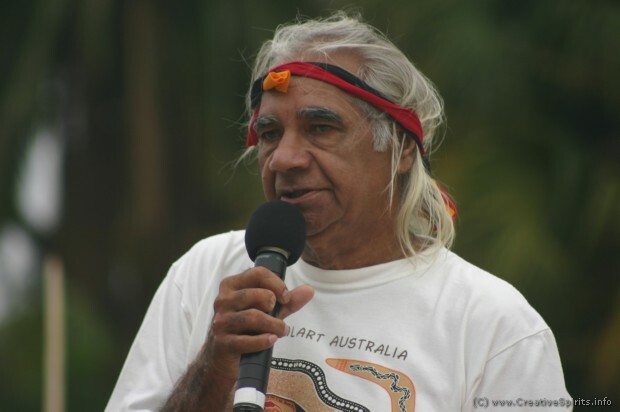 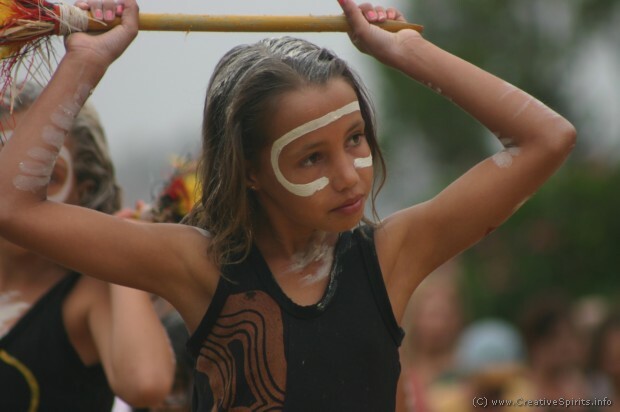 Dance and song are "a reflection of a continuous corroboree from the Dreamtime into infinity and beyond. 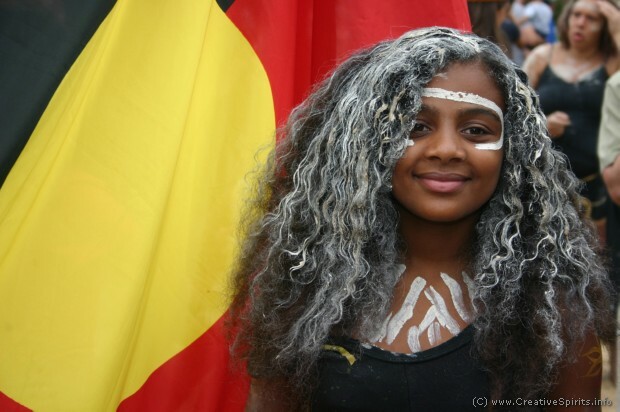 We are taking it 'Black to the future'," says Aboriginal rapper Wire MC. 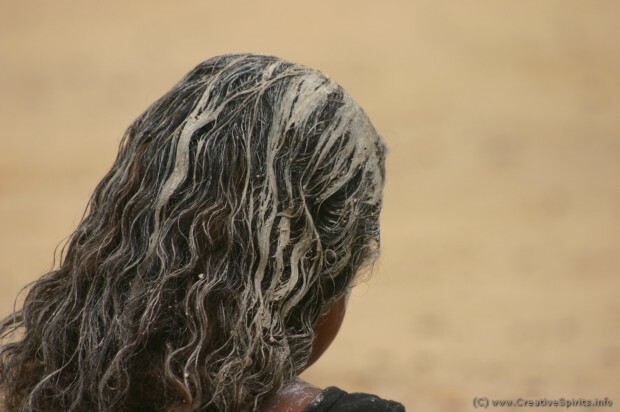 You'll find more details in the captions to the images of the slideshow.